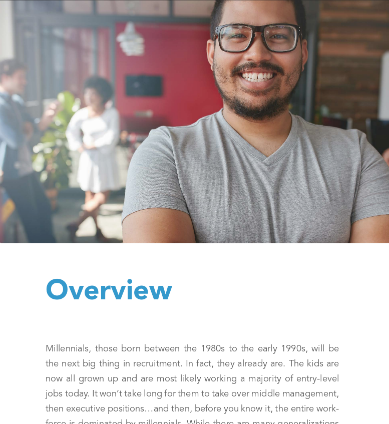 Millennials, those born between the 1980s to the early 1990s, will be the next big thing in recruitment. In fact, they already are. The kids are now all grown up and are most likely working a majority of entry-level jobs today. It won't take long for them to take over middle management, then executive positions...and then, before you know it, the entire workforce is dominated by millennials. While there are many generalizations about millennials all over the world, these generalizations will skim over the specifics based on country of residence, socio-economic class, etc. This report takes the initiative in understanding the millennials closer to home: the millennial jobseekers of Metro Manila.